Knowledge is Power. AIIP virtual events help you grow your business. 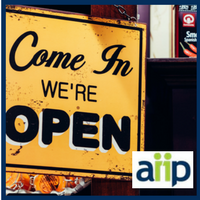 AIIP offers FREE interactive, monthly webinars for members on a wide range of topics related to building and running an information business. AIIP also hosts live virtual meetings during which members compare ideas, share insights and resources, and learn from each other. Most programs run 1 hour in length. They offer a cost-effective way to update your skills and expand your knowledge in this dynamic field. 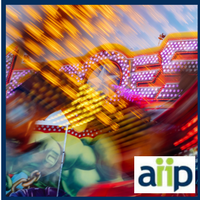 AIIP webinars explore ideas and go into depth on how each topic affects infopreneurs. Topics range from research tools and techniques to marketing strategies and client management. Most programs are recorded for later viewing. See upcoming programs on the Events Calendar. 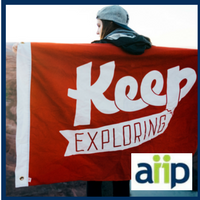 If you find these webinars valuable, why not join AIIP? Members can attend live webinars at no cost, listen to all the recorded webinars in our extensive archive, and enjoy many other benefits of membership. "This has been by far the most accessible professional community I have been involved with!" Start with this interview of three info pros with very different business models. One of the best ways to grow a business is by learning from other infopros. Rent a series or buy an individual video. What's the difference? We add new recordings to each series regularly. If you purchase access to a series for a year, you can access all recordings in that series regardless of when they were added. All recordings are video files, but not all have presentation slides - some are primarily audio recordings. VAT will be added to the purchase price for buyers in the EU. All purchases are final. 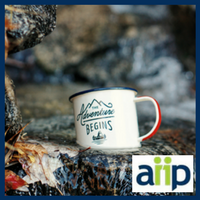 AIIP and its presenters do not warrant or represent that the use or the results of the use of any content or materials made available through AIIP webinars or from third parties will be correct, accurate, timely, or reliable. All webinars are protected by United States and international copyright laws. Any duplication of these materials in any form without express written permission from AIIP is a violation of these copyright laws.